Explore creative ways leading companies are innovating their Stage-Gate Models. See something you like? Contact Us. Beam Suntory is one of the world’s leading premium spirits companies. Design Challenge: Modify the existing, successful, Stage-Gate framework into a hybrid with Agile techniques. 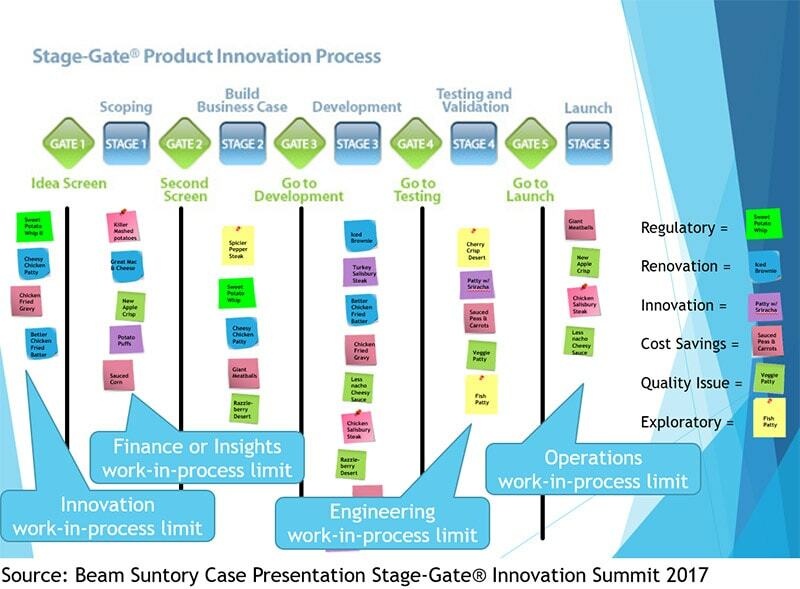 Solution: Adapt lean, agile and scrum tools and practices for use in the existing successful Stage-Gate framework. The world’s largest consumer goods company and home to iconic, trusted brands. 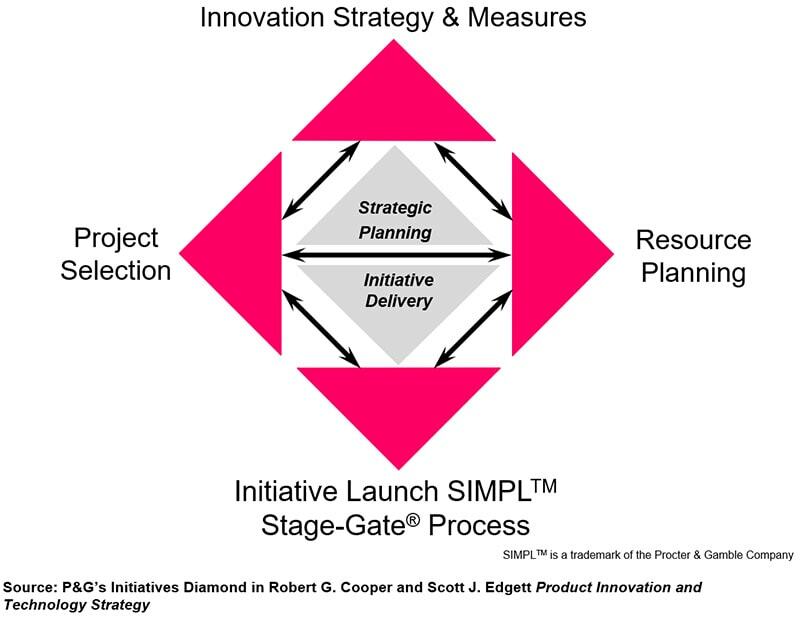 Solution: P&G Initiatives Diamond (modeled on SGI’s IPF) was introduced to serve as a guide for each business’s product innovation effort. PepsiCo Inc. is a global food and beverage leader. Design Challenge: A complex global organization with multiple business units, sectors, product lines and brands. Solution: One common Stage-Gate Model, flexibly applied to global and sector-led collaborative projects. SABMiller plc is a multinational brewing and beverage company. Design Challenge: One Global process with flexibility for local modification lifecycle projects. 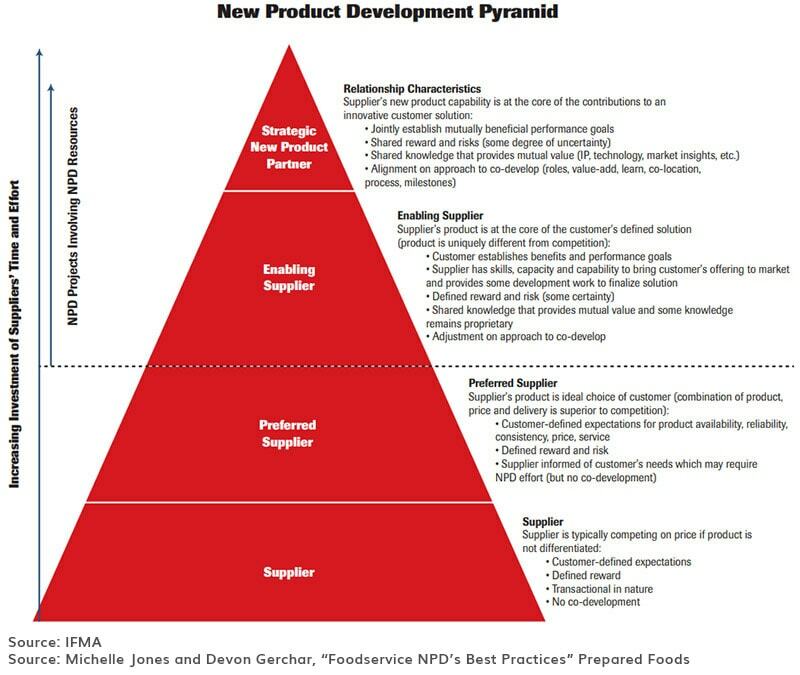 Solution: Intensive process for high risk corporate projects; less intensive process for local brand lifecycle projects. The world’s leading provider of precision-cut crystal. 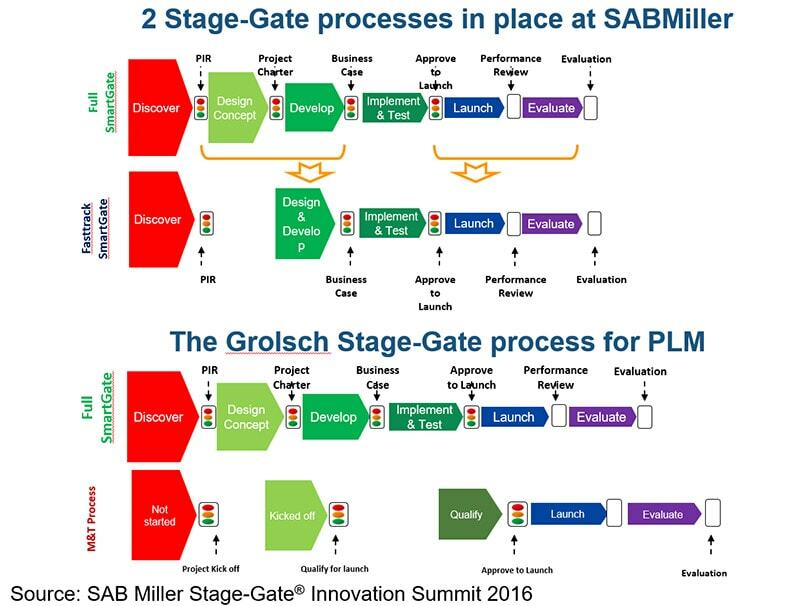 Design Challenge: Create a harmonized process that integrates Stage-Gate discipline with creative ideation. 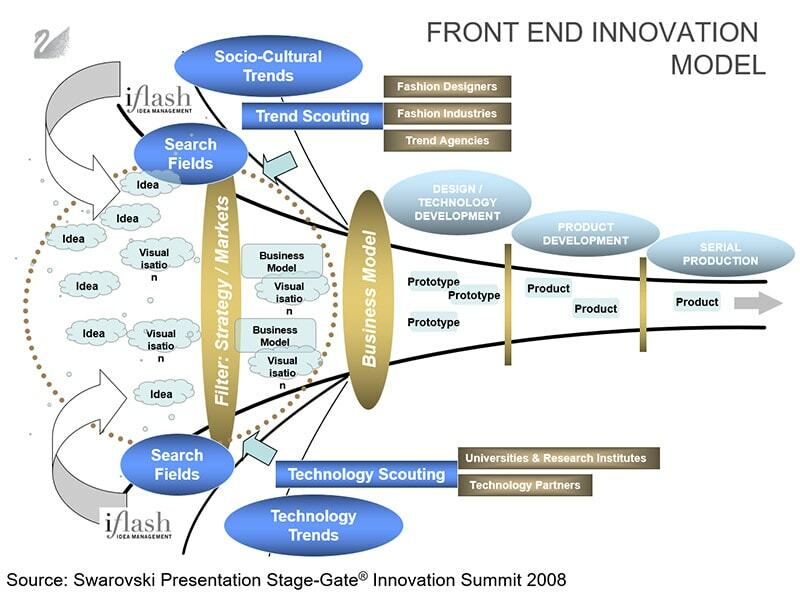 Solution: A hybrid process that leverages open innovation techniques at the front end while maintaining rigorous gates. A global technology company that delivers innovative solutions to everyday needs. 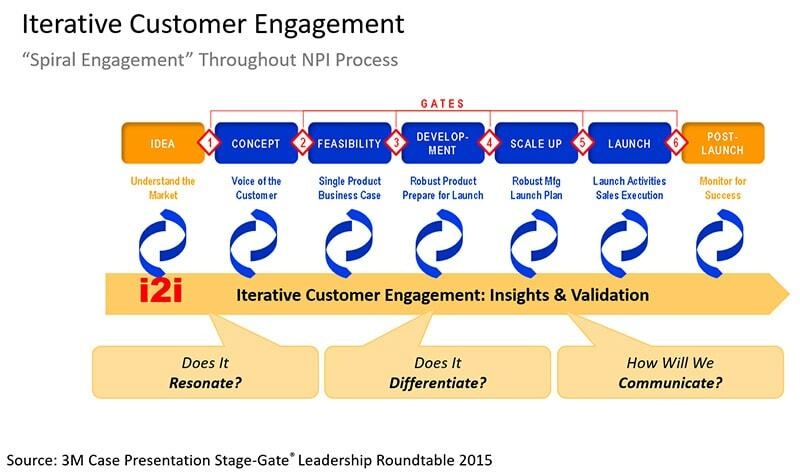 Design Challenge: Strengthen 3M’s iterative customer engagements throughout the NPI Stage-Gate Process. Solution: Incorporate spiral engagement into each Stage to collaborate more closely with customers. KaVo Kerr serves the dental community as a total solution provider. 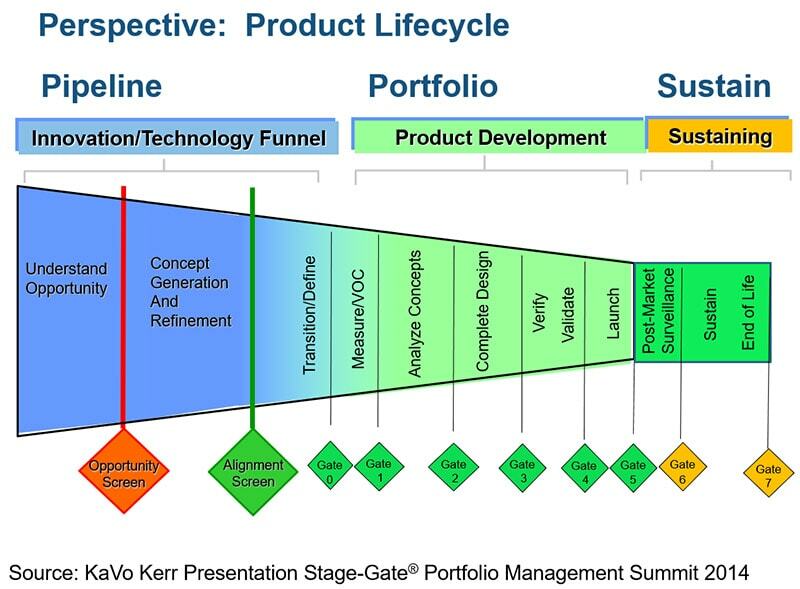 Business Goal: Project prioritization across the product lifecycle. Design Challenge: Evaluating and prioritizing a diverse portfolio of new technology, new product, and sustaining projects. Solution: Customized gate criteria to align with each project type to increase speed-to-market across the full portfolio. The leading foodservice trade association of food, equipment and supply manufacturers. 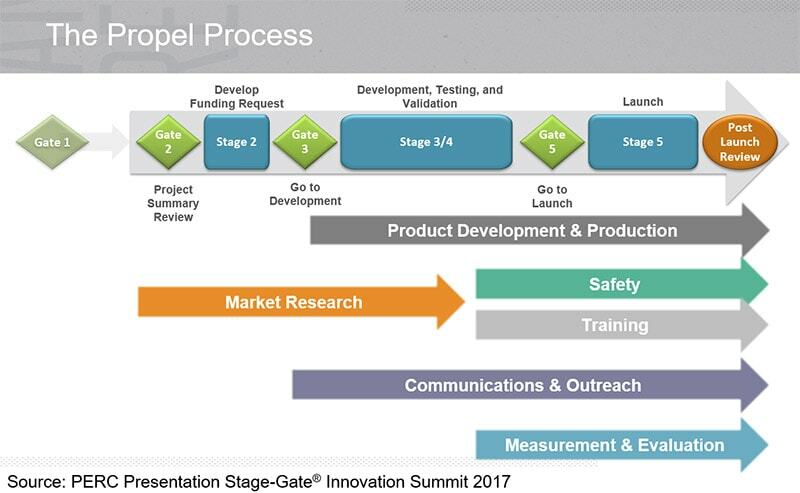 Design Challenge: A unique Stage-Gate process to guide diverse partner collaborations. Solution: Create a Center of Innovation Excellence to reflect the industry’s best Stage-Gate practices. A check-off program established, operated, and funded by the propane industry. Business Goal: Introduce a management model to drive high impact commercialization. 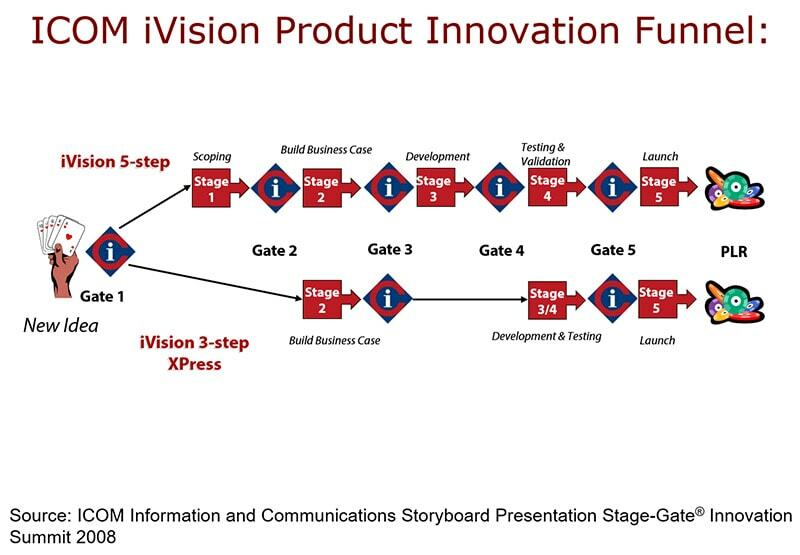 Design Challenge: Apply Stage-Gate to govern an innovation investment portfolio executed entirely by 3rd party contractors. Solution: An open Stage-Gate Model to govern internal and external partner collaboration and PERC’S investment portfolio. ICOM Information & Communications is the North American leader in targeted marketing strategies and services. Design Challenge: Accelerate growth in an SME with a new innovation team and strategy. 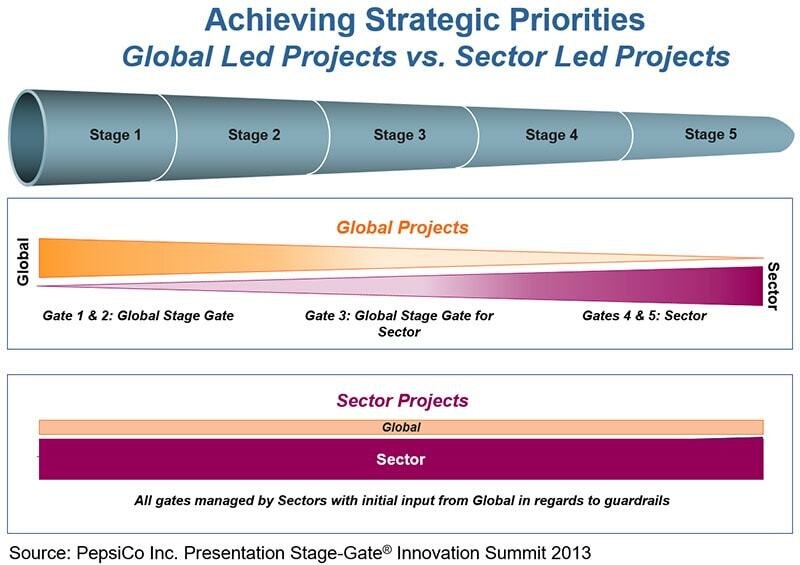 Solution: A simplified Stage-Gate roadmap tailored to accelerate ICOM’s new innovation strategy.